Just 3 kilometres south of Sydney’s CBD, the suburb of Redfern is home to over 13,000 residents. First settled by William Redfern over 200 years ago, the area has seen much development in recent decades as old structures, but there are still a lot of old buildings that still stand today. If you’re lucky enough to live in this area, you’ll know how densely populated the area is – who wouldn’t want to live in such a handy place between the CBD and airport? Unfortunately, you probably don’t have a lot of spare space to store unwanted belongings. If something is no longer needed, it essentially becomes junk and needs to be disposed of, there’s no big shed out the back to let it sit for years. 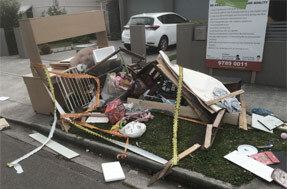 At Same-Day Rubbish Removal, we specialise in collecting large amounts of waste in a short amount of time, so if you need your rubbish gone fast, give us a call now and we’ll have it all gone in no time! Before disposing of their junk, people often do a bit of research to find the cheapest way to get rid of their stuff, that’s usually due to the shock of seeing how much their first idea will cost them. We can safely say that you won’t find a better value solution in removing your junk, that’s why customers always come back to us if they need more stuff removed. We’d encourage you to give us a call and ask for a free quote so that you can see exactly how cheap we really are. It’s easy to be sceptical about our prices, since there is nothing showing here on our website, but this is only because every single job is different and if there was a blanket price for all jobs, it would end up being more extensive for many customers. We’ll only charge for what it costs us, so you can be sure you’re getting great value! We’ve been operating now for over 10 years so we know all the tricks in providing the best value service. We’ve seen just about everything when it comes to home and office rubbish, items of all shapes and sizes, many of which we have no idea of what it even is! Despite all the interesting jobs we’ve been called out to, there hasn’t been one too hard for us yet. Broken fridges, couches, beds, tables and chairs are some of the common large items we collect from homes, computers, printers, monitors and desks are some of the regular items we’ll collect from businesses. It doesn’t matter what it is, or where you’re located in Sydney, we can come and take your stuff away. 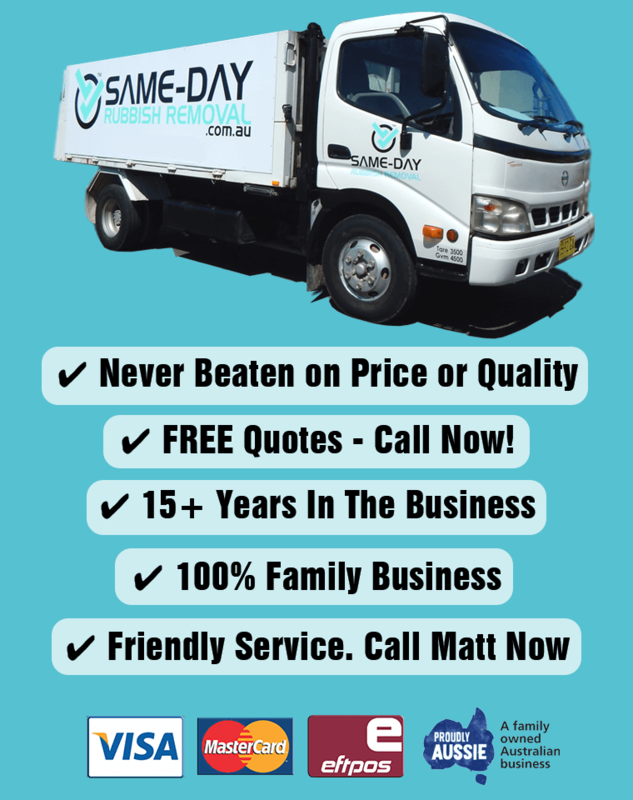 We don't only service Redfern - from up in Epping, down to Sydney’s CBD, and out to Penrith, we can come to you. We know all the shortcuts around Sydney and the best recycling and disposal sites, so you can be sure we’ll keep our word. 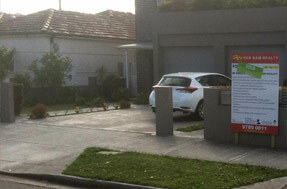 Give us a call now on 0402 737 046 and speak to our friendly team about receiving a free quote. We can’t wait to help you get rid of your waste!